Jake Wood, who played offensive tackle at Wisconsin, went on to join the Marines and co-founded Team Rubicon, will receive the Pat Tillman Award for Service at this year's ESPY Awards. Wood served four years with the Marines in Iraq and Afghanistan, and after being honorably discharged in 2009, he began advocating for veterans. After a 2010 earthquake in Haiti, Wood and fellow Marine William McNulty organized a group of veterans, first responders and medical workers to aid the victims. That led the to create Team Rubicon, a nonprofit organization that uses the skills of veterans to rapidly deploy as emergency responders to disasters. The organization has responded to more than 250 disasters and has more than 80,000 volunteers. 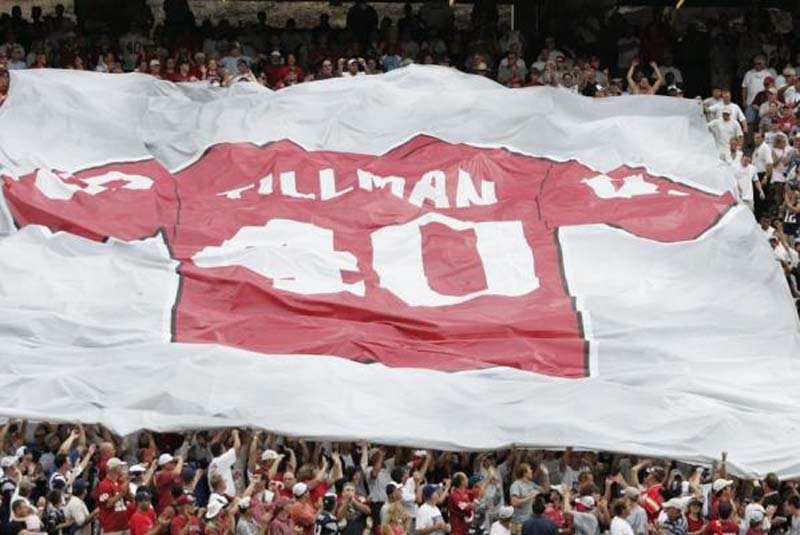 "Pat was motivated by a strong determination and commitment to teamwork," said Marie Tillman, chair and co-founder of the Pat Tillman Foundation. "Through his leadership of Team Rubicon, Jake is challenging fellow veterans to stay on the front line and lead by example in their communities. In Pat's name, we're honored to present the Tillman Award to Jake and Team Rubicon for their service to our country." Pat Tillman played linebacker at Arizona State and was a safety for the Arizona Cardinals from 1998-2001 before he joined the U.S. Army in the wake of the Sept. 11, 2001, terrorist attacks. An Army Ranger, Tillman was killed by friendly fire in the mountains of Afghanistan in 2004. The ESPYS, presented by Capital One, will air live at 8 p.m. ET on July 18.